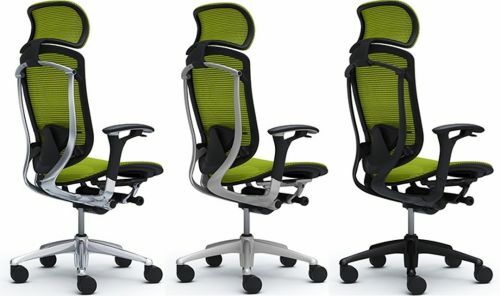 OKAMURA CONTESSA Chairs are available in 12 color variations of MESH and FABRIC. CONTESSA Frame Types: Polished, Silver or Black. OKAMURA CONTESSA Chair with Polished Frame. Okamura CONTESSA Chair with Silver Frame. OKAMURA CONTESSA Chair with Black Frame.